LOCAL PROGRAMS IN CALIFORNIA are creating an awareness of that for which we’re striving in the Middle East. They are focused on bridge-building and overcoming bigotry and preconceptions. The basic idea of the Rule is ancient–variations of the Golden Rule are found across history and in societies around the world. 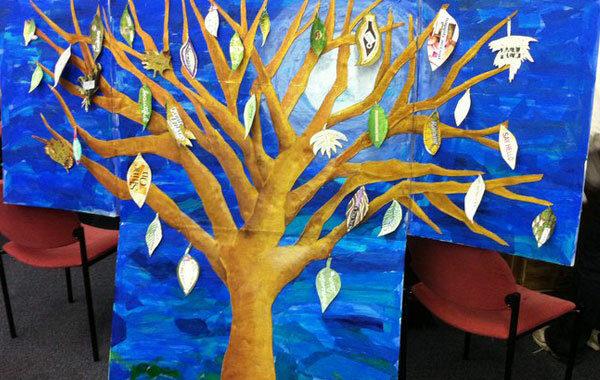 We provide a participatory program suitable for all ages, using the basic tenet of ”do unto others” in an international and interfaith context. 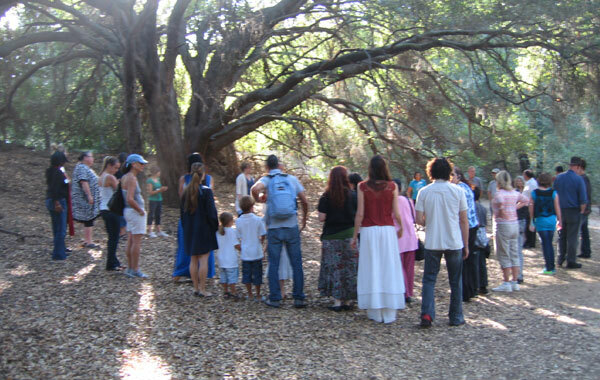 This program format begins with a meditative, silent walk in nature, followed by a group Council (see our methods) and a communal potluck. This activity, which occurs multiple times during the year is a wonderful way to build community, and is usually held at the Blue Heron Ranch, but arrangements for other locations can be made. 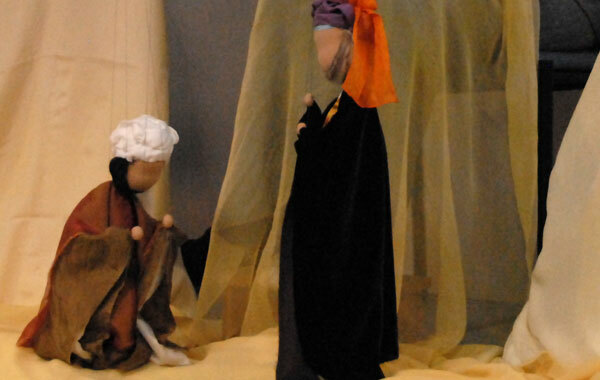 Puppets for Possibility are local performances for young children conveying the sense of magic, wisdom, and healing that story and enlivened puppetry provides for children in the Middle East in our co-sponsored schools. This soulful style of puppetry for young children is used by many teachers, therapists, speech pathologists, children’s librarians, parents, storytellers, and puppeteers. The Interfaith Council Workshop is for those wishing to deepen their interfaith understanding with the goal of building a local interfaith community based on this practice. The ancient Council practice of sitting in a circle, speaking and listening from the heart can enrich any relationship – at home, in the workplace, in community. Council is widely used in public and private schools, businesses, and communities around the U.S. and Europe. This workshop will explore heartfelt expression and attentive listening – gateways for deeper communication, intercultural understanding and the nonviolent resolution of conflict. Council is used in 63 Los Angeles schools, serving 12,000 children. It is also a successful communication modality used by reGeneration’s Middle East liaison, Itaf Awad with staff and parents at the Jewish/Arab kindergarten and community center, Ein Bustan.